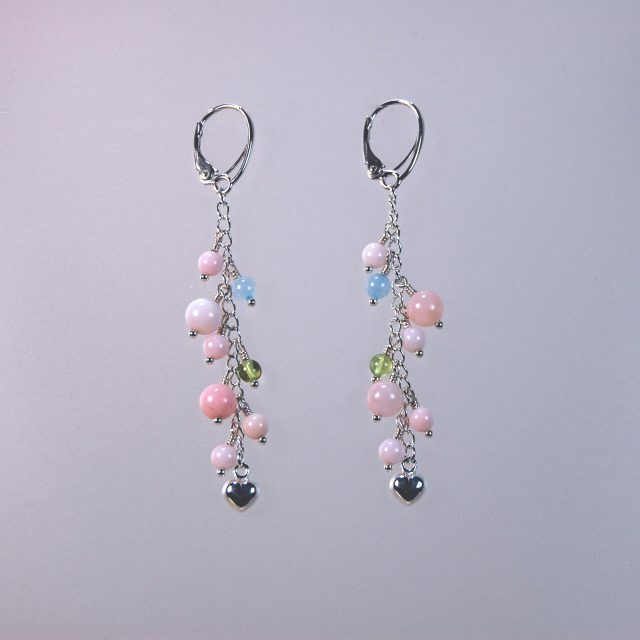 These exquisite dangle earrings combine pale pink opal beads with a heavenly blue aquamarine bead and a spring green peridot bead for a simple elegant effect. A sterling silver lever back and silver chain ending in a heart complete the design. 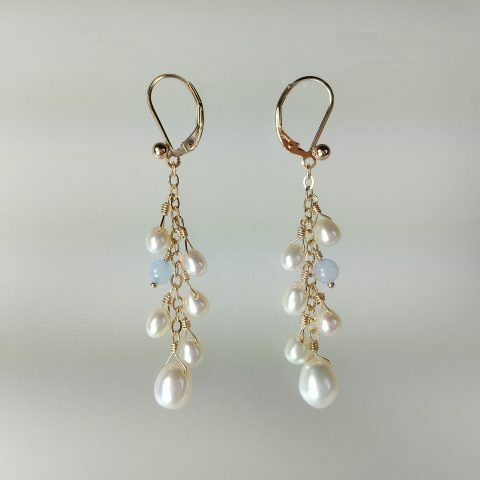 Each earring is 2 3/4 inches long. Pink opals are lovely stones to wear to bring joy back into your life. They also provide a calming effect. 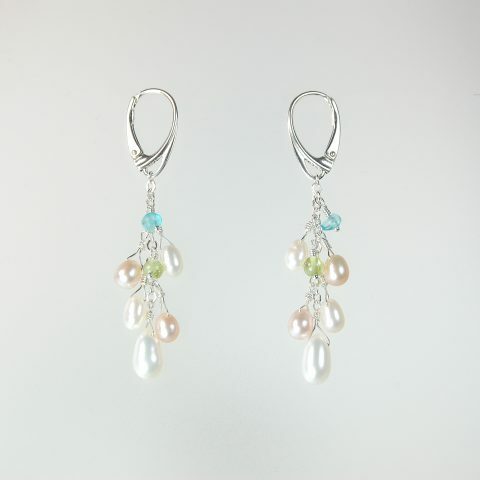 Because Opals contain water, do not leave them exposed to sunlight for long periods of time or they may become brittle and break.